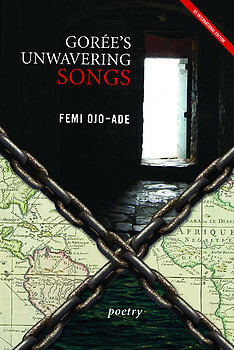 Femi Ojo-Ade’s new poetry collection, Gorée’s Unwavering Songs comes a few years after his first, the honourably mentioned Exile at Home. The wait, one daresay, is worth it. This collection is poignant and thought-provoking. The poems delve into the innermost confines of Africa’s soul to address myriad issues stemming from the dual tragedies of slavery and colonialism. At the basis lie the multifarious forms of black experience in Africa and the Diaspora. There is none other more qualified to explore the bitter-sweet life of the continental and the diasporic than Ojo-Ade whose birth and background, as well as personal and professional existence, are encompassed by both sites, such as Nigeria, The Gambia and Senegal, and the Americas and Brazil. The titles in the collection are proof enough of the poet’s deep knowledge of the spaces explored and the intricate, inescapable linkage between the two homes of Blacks. According to the poet, the black experience is a continuum over generations and eras. Africa is nothing without the Diaspora. African poetry follows its own particular drumbeat; similar to jazz, it emanates from spontaneity. An authenticity dipped in the sweat and blood of those that have seen their midday suddenly or slowly become midnight. The rhythm of Africa’s soul reverberates throughout these poems. There is embedded the syncopated percussion of much pain, and pride in a culture maligned but magnificent in its very core. Gorée’s Unwavering Songs is a poignant work of remembrance that captures the beginning of the historical derailing of Black humanity. Ojo-Ade’s preoccupation with the Black experience worldwide is reminiscent of the Pablo Neruda’s love of his people. The songs remind us of what most people re-shaped by history want to forget but which the wise want to remake. Ojo-Ade’s voice, expressed in free verse in this volume, is a voice we must not miss. FEMI OJO-ADE, Professor Emeritus at St. Mary’s College of Maryland, USA, is a former Head of Department of Foreign Languages at Obafemi Awolowo University, Ile-Ife, Nigeria. This is his second poetry collection. He is an internationally renowned critic of black culture and literature. He recently edited a collection, The Obama Phenomenon. His works-in-progress include a novel, Dog Life Dot Com, and a drama, Patriots.